Lloyds was known in Poland before the Partitions and between the world wars, its renown is such that it remained a familiar institution throughout communist times. Lloyd’s history, beginning as a London coffee house in which ship owners and merchants would meet to insure their vessels and cargoes, goes back to 1686. Since 1871, when the first Act of Parliament was passed regulating Lloyd’s business. For the Polish insurance market, Lloyd’s since the beginning of the 20th century has been offering high-limits specialty insurance and reinsurance policies for marine, aviation and industrial risks. However, its nowadays activity very much differs from its original picture. In 2008 Lloyd’s established a permanent presence in Poland in the form of a service company, Lloyd’s Polska Sp. z o.o. having the status of a general Lloyd’s market representative. This made it possible to obtain a Freedom of Establishment licence (in addition to a Freedom of Services licence which it already had for Poland) and start developing coverholders. These form a specific type of distribution for specialised Lloyd’s insurance products on the ground of a franchising project with delegated underwriting and claims authorities. 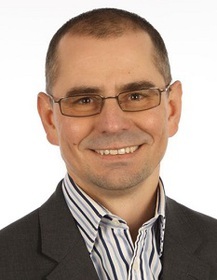 Since the beginning of its activity Lloyd’s Polska is represented by country manager Witold Janusz. Today Lloyd’s Polska acts in close co-operation with lawyers and advisors to support Lloyd’s coverholders and customers. As such Lloyd’s Polska does not provide insurance services in its own right, but rather is a service and information provider for coverholders and customers. It also performs some controlling and co-ordination functions within Lloyd’s internal International Regulatory Affairs department. Since 2008 more than 10 coverholders have been founded and developed across Poland. What is the most characteristic for this project is that fact that all ten are independent businesses capitalised mostly by Polish citizens, specialists who formerly performed underwriting, claims and/or product development functions for Polish insurers. All of them have successfully completed an internal Lloyd’s selection and acceptance process, ending in obtaining the so-called Binding Authority Agreement. Lloyd’s Polska leading coverholders in terms of written premiums at the end of 2018 are: Wagas, offering extended warranties and GAP insurance, Leadenhall Polska, offering personal accidents and loss of income, D&O, professional indemnity and cyber insurance and CEU, offering personal accident and loss-of-income insurance. Through its coverholders, Lloyd’s has already insured tens of thousands of customers in Poland and developed a professional nationwide network of distribution. Thanks to the Freedom of Services licence, all Polish insurance brokers can actively exercise placing business on the so-called ‘open market’, using the opportunity of cooperating with Lloyd’s brokers in London. Thanks to all these activities, Lloyd’s Polish business has been growing every year by over 20%, topping 176 million złotys in 2018 on insurance side and 161 million złotys on the reinsurance one. We are proud that thanks to the efforts of our coverholders, the last decade has seen Lloyd’s becoming a local insurer, known to a wide group of potential customers, among which are professionals and premium-car owners. We are one of leading insurers to cover loss of income for professionals such as medical doctors with highest limits achievable on the Polish market. We are also one of very few insurers to offer D&O policies through a transaction IT system developed by Leadenhall Polska, also to directors and officers of small- and medium-sized companies. Our latest product introduced to the Polish market is cutting-edge health insurance with a worldwide scope of cover, offered by WDB Healthcare. Lloyd’s market products have always been recognised as pioneering and excellent in terms of scope of cover. Lloyd’s was the world’s first insurer to issue insurance policies for cars, aeroplanes and spacecraft. We have always supported development of human creativity by taking on the risk of the unexpected events resulting in loss. This is also one of the specific characteristics of Lloyd’s activity today. This has always been possible thanks to the unique structure of Lloyd’s market, consisting of thousands of members organised in syndicates, ready to share an accepted risk and to take decisions extremely quickly by signing the Lloyd’s broker’s slip. We are widely open to cover risks of the new economy, such as cyber, drones or autonomous cars. In time, such insurance products will be introduced to the Polish market too. A few weeks after the UK Brexit referendum, Lloyd’s set up a team focused on reorganising its European activities. It decided to establish a separate EU-based insurance undertaking. The choice was Brussels. Soon after taking this decision Lloyd’s established a Societe Anonyme with its headquarters in Belgium – and in the European Union’s capital. The new establishment is called Lloyd’s Insurance Company S.A., but we most often use its short name – “Lloyd’s Brussels”. It became operative on the 1 January 2019. It is dedicated to provide insurance and reinsurance services to all EU customers previously serviced by Lloyd’s members (syndicates). From the financial point of view Lloyd’s Brussels is a subsidiary of the Lloyd’s Corporation and is capitalised according to the Solvency II directive requirements. It is 100% reinsured by Lloyd’s members (syndicates) and has 19 branch offices across continental Europe, including Poland. From the organisational point of view, the Lloyd’s Brussels Polish branch office is located at the same address as Lloyd’s Polska and its general representative is also Witold Janusz. All Polish coverholders have already been registered as Lloyd’s Brussels agents, and all policies issued starting from 1 March 2019, indicate Lloyd’s Insurance Company S.A. as the insurer. We are convinced that all our customers will accept the new form of our activity as from the legal point of view it is much clearer than it was in case of Lloyd’s members (syndicates) before. Now instead of a number of insurers there is only one insurer indicated in the documents.